A man’s beard is not only facial hair, it’s a statement. And what more of a statement can a long beard tell? Surely, you do not want to flaunt a long beard that looks like you have not been in contact with civilization for the last three decades, but you would want your beard to look like a follicular wonder for everyone to behold. However, for this to happen, long beards would require good grooming and maintenance that are different from short beard grooming. The following are some tips to help maintain long beards whether they are thick or wispy for them to have an impeccable look. It is essential that your long beards get brushed or combed often in a day. Brushing will keep the tangles and dirt away. There are brushes and combs specifically made for beards. They are great for detangling and are also gentle on the skin underneath. Some combs are also made with keratin to help keep frizz away and to prevent breakage. A long beard needs to be washed regularly. Use only mild beard shampoo and after rinsing, apply beard conditioner. Make sure to rinse your beard thoroughly because flaking under your beard may arise if it is not done properly. Do not rub your beard with a towel to dry, instead, gently pat and wipe it dry with the towel. Use a wide-tooth comb to remove tangles. Longer hair tends to be dry since your natural oils could not cover the length of the hair. The beard would most likely have frizzy hair and split ends and are prone to breakage. To prevent this, your beard needs to be nourished every day. Apply and massage beard oils or beard balms to moisturize your beard hair and skin. Spread the beard oil moisturizer thoroughly as close to the roots as possible. They incorporate both vitamins and other natural moisturizers to make the facial hair soft and manageable. You may think that your long beard is enough to cover your skin from the sun’s UV rays, it won’t. The sun can penetrate through your thickest face fur and damage your skin and your facial hair too. So, do not forget to apply protection and use moisturizers with added SPF. Your long beard needs occasional trimming too, especially when split ends start to show. You can have this done professionally or by yourself. If you are going to do the trimming yourself, make sure to have the right tools. 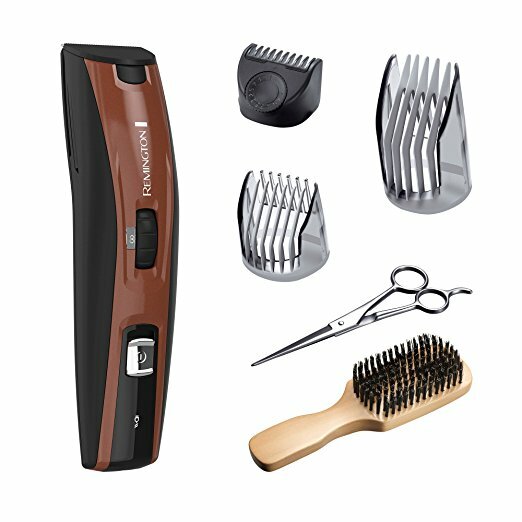 Purchase a pair of professional barber’s scissors or a rechargeable cordless long beard trimmer. To look incredible with a long beard is not an easy feat. It requires following your grooming routine consistently. But when you do, you will be rewarded with a great-looking beard that will be the source of your pride and confidence. Can You Use Hair Conditioner For Your Beard? BeardConditioner.com is a participant in the Amazon Services LLC Associates Program, an affiliate advertising program designed to provide a means for us to earn fees by linking to Amazon.com and affiliated sites.